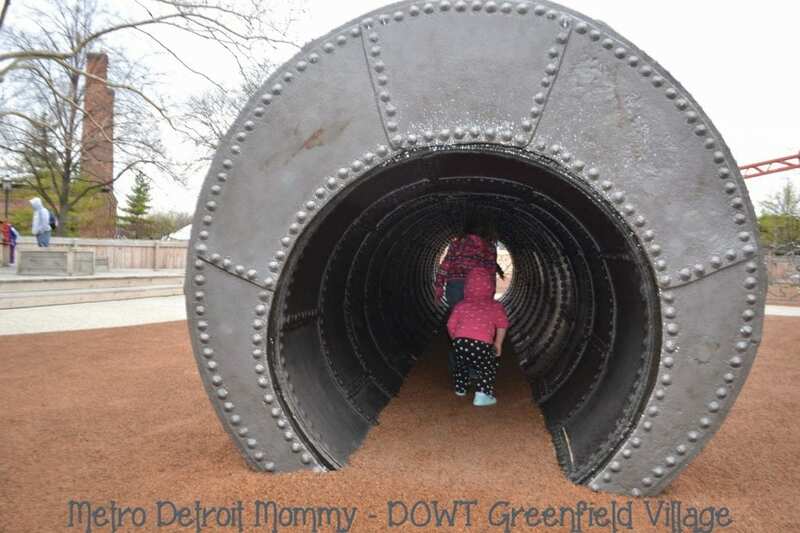 We visit Greenfield Village several times a year. 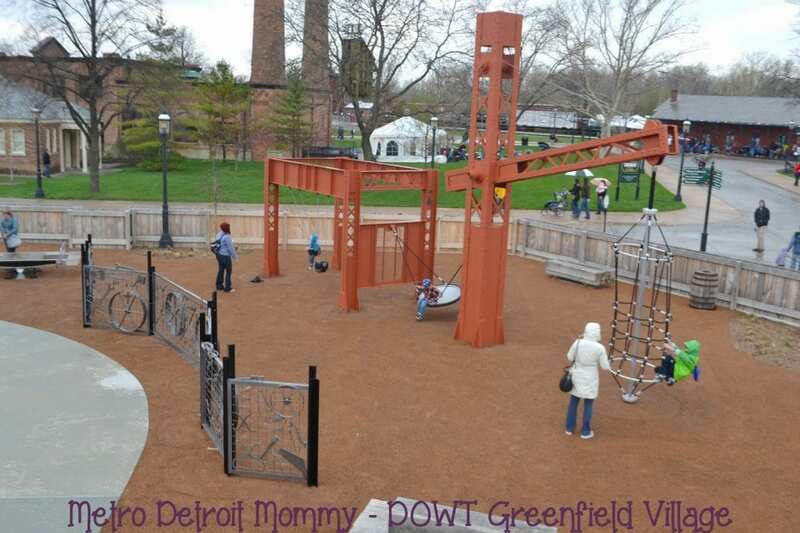 The kids enjoy it and look forward to playing games on the lawn in front of the Eagle Tavern in the summer, but there is now a new playground to enjoy which makes Greenfield Village even more appealing to younger children and their families. Located adjacent to the carousel, the new historically-themed playground is a place where children of all abilities can learn and play within the same environment. This new addition to Greenfield Village encompasses approximately 25,000-square-feet and was designed with the intent that children of all abilities could learn and play within the same environment. 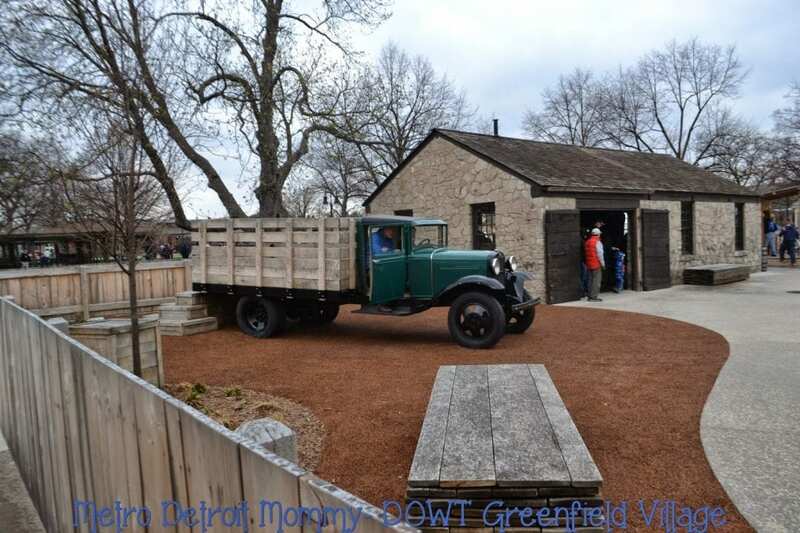 The site includes multi-level topography with ramp accessibility, bonded and concrete rubber surfaces that are ADA accessible and elements constructed out of natural or authentic materials keeping with the overall aesthetic of Greenfield Village. 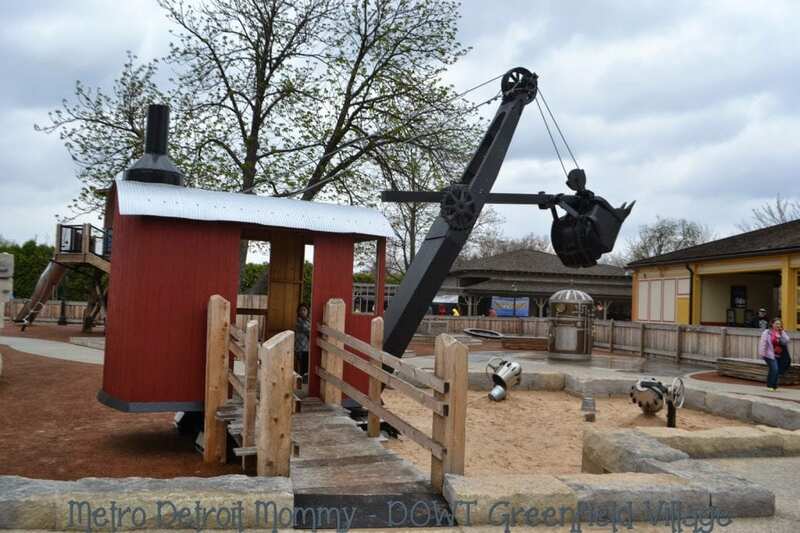 Designed to resemble a 1930s construction site, the playground includes an interactive steam shovel where children can play with the levers inside or dig in the sand located at the bottom of the steam shovel’s bucket. 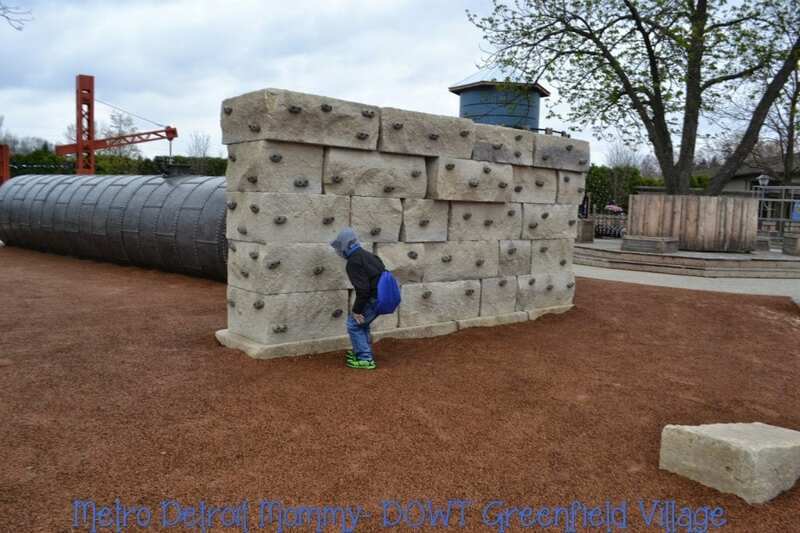 The fenced-in site also includes a rock climbing wall, a water tower, swings, an interactive boiler feature, a cement mixer and two actual artifacts – a boardable 1931 Ford Model AA truck and a 20-foot-long boiler tunnel that originally sat near the Armington and Sims Machine Shop inside Greenfield Village. 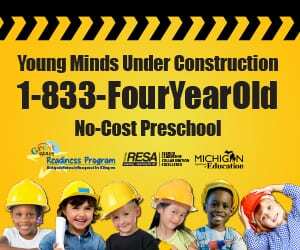 The playground will be open daily, April through October, from 9:30 am – 5:00 pm and is intended for children 10 and younger with adult supervision. 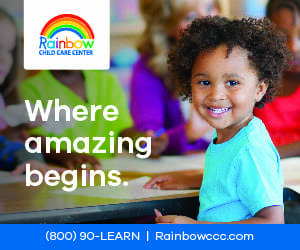 There is so much to do in their new play space. I love that the space is enclosed so children are easily contained. 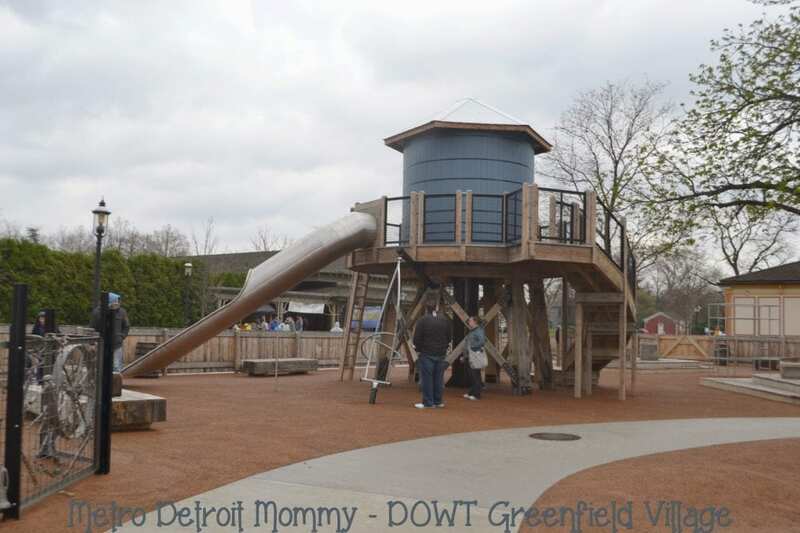 There is seating around the area for parent and children so you can take a break from playing. Overall, the girls had a blast in this new play area. We can’t wait to head back! !